 IS FLORIDA STILL A STATE? THE IMPLICATIONS OF THE ABROGATION OF THE ADAMS-DeONIS TREATY ON FLORIDA'S STATUS UNDER INTERNATIONAL LAW. The United States acquired the Spanish colonies of East and West Florida in 1819 by virtue of the Adams-deOnis Treaty. At the close of the Spanish American War of 1898, the United States and Spain signed a treaty which “abrogated” and "annulled” all prior treaties, including the Adams-deOnis Treaty. 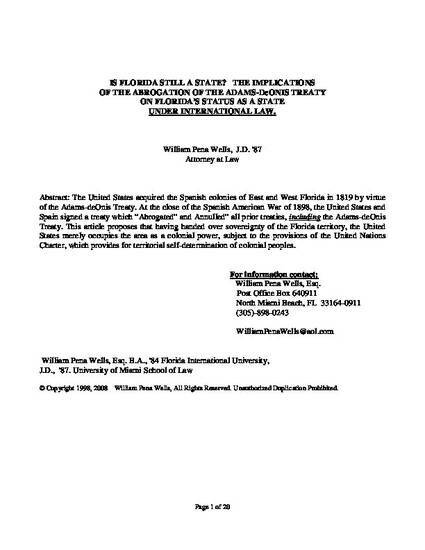 This article proposes that having handed over sovereignty of the Florida territory, the United States merely occupies the area as a colonial power, subject to the provisions of the United Nations Charter, which provides for territorial self-determination of colonial peoples.